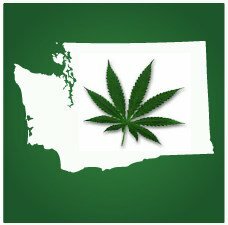 Legal marijuana sales continue to surge in Washington State. In fiscal year (FY) 2017, which began on July 1st, there has been $1,142,722,905 in legal marijuana sold. This has already surpassed the total for FY 2016 ($972,729,675), even though there is over three months left in FY 2017. The over $1.1 billion in legal marijuana sold has resulted in $213,990,878 in taxes for the state. On a daily basis there is nearly $4.8 million worth of marijuana and marijuana products sold each day, resulting in roughly $1 million in daily tax revenue. This is according to data released by the state’s Liquor and Cannabis Board. The majority of the tax revenue is being split between the Basic Health Plan Trust Account and the state’s general fund, with small amounts going towards other programs and entities such as marijuana research, the Liquor and Cannabis Board and the Office of the Superintendent of Public Instruction. According to the Liquor and Cannabis Board, there have been 489 retail licenses and 974 producer/processor licenses distributed throughout the state.